Comrade In America Review - DQ Fans Can Rejoice On This Engaging Flick! Comrade In America Review – DQ Fans Can Rejoice On This Engaging Flick! The narrative of the film opens with a political chaos in Pala and ends with a stylish hero introduction and title along with a dubstep remix of of the iconic song Balikudeerangale, this sequence was more than enough to energize the fans. Comrade In America a.k.a CIA is Amal Neerad’s best after Big B ( of course, barring Iyobinte Pusthakam) in the commercial zone. The first half of the film revolves in Kerala around the protagonist Aji Mathew and his world and the second half is his journey to America for love. Now this film is not a very intense one, it has a lot of fun moments and some good jokes on the Kerala politics. Aji’s character and his take on situations makes the story engaging. CIA is not a hard hitting romantic drama but an enjoyable take on a man’s life, ideologies and how far he would go for love! Amal Neerad is known as a very stylish film maker and CIA also gifts the audience some great moments. 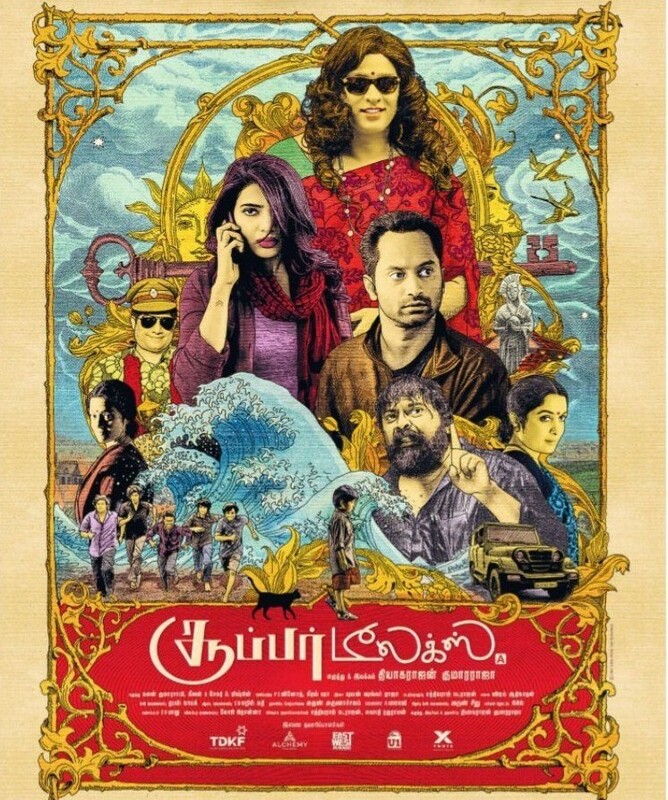 The film is written by Shibin Francis, the screenplay moves smoothly without boring scenes and the dialogues were very good. Renadive has done cinematography for the film. Both Kerala and the foreign locations were captured beautifully, Amal Neerad himself is an ace cinematographer and his touch is seen throughout. The songs by Gopi Sundar sounded usual but the background score was good. Praveen Prabhakar’s cuts were neat and art director Prathap Raveendran’s work also adds perfection to the making. The fights were perfectly placed but the stunt moves by Anl Arasu weren’t new, if the movements varied from usual punches and hitting a hunch man to the ground, it would have been much better. One more draw back is the Tamil spoken by John Vijay, his character is Sri Lankan but he speaks the normal Tamil and not the Sri Lankan Tamil. Performances wise Dulquer Salmaan flawlessly pulls off Aji Mathew, his dialogue delivery was also very good in the Pala slang. Dulquer ultimately becomes the show stealer and also he has got this charm to transfer happiness to the viewers which helps Aji in being a lively character. Debutante Karthika Muralidharan has done her job well. Chandini Sreedharan was good, Siddhique naturally shines as Aji’s father, Soubin Shahir draws smiles on audiences’ faces and John Vijay also did a good job. Dileesh Pothan will give the viewers some heartful laughter with his hillarious performance. Comrade In America is an engaging flick and will surely please Dulquer Salmaan fans. The youngsters might take back some good light notes with them after the film. It touches the peripherals of the immigration issues of the United States of America but doesn’t go deep. The film is a simple entertainer with a neat making and a tiny surprise. Only thing is not to expect anything large. It is good entertainer for the holiday season.